In addition to frequent sales and special pricing on machines offered through BERNINA, The Presser Foot is happy to extend discounts for class supplies, guild members, students and more. We also have discounts for members of our clubs. March is International Quilting Month! accessories and more during March. Save 25% off of BSR (BERNINA Stitch Regulator) and Walking Foot. 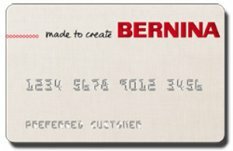 *Savings on NEW BERNINA Q Series machines is off of MSRP. Not valid on previous purchases. 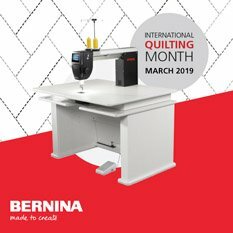 See BERNINA website for complete details. Save 25% off of Rulerwork #72 foot and BERNINA Needle Point Laser. still new machines—they have not been previously sold. required. Subject to credit approval. we'll make sure we apply your discount. sure we apply your discount. membership and a 501C3 status (non-profit organization listed with the State of Colorado). make sure we apply your discount. purchases or given after the sale is complete.